SPRON, coined from SPRING MICRON, is an SII brand name. SPRON is a highly elastic Co-Ni based special metal that features superior material characteristics and precise processing accuracy for precision springs . 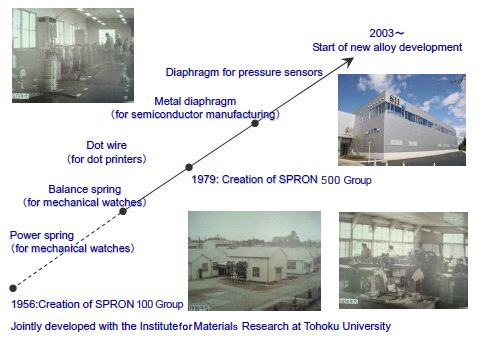 Jointly developed with the Institute for Materials Research at Tohoku University as a spring material for mechanical watches, SPRON has provided high reliability until now. The SPRON series has high mechanical strength, durability, heat resistance, and superior corrosion resistance. 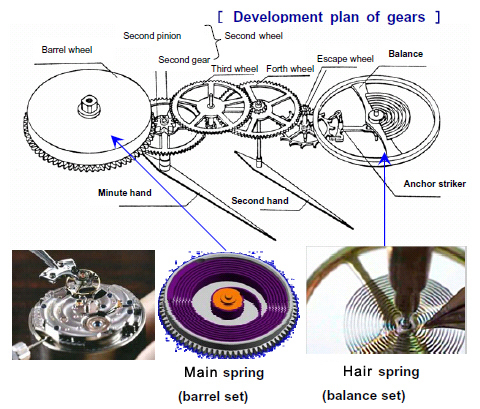 In particular, the characteristics of non-magnetic SPRON 510 are exploited for a wide range of applications from electronics to the medical field, including small precision springs, metal diaphragms, medical materials, and many others.